Chinese elements will appear in 2016 RIO Olympic Games. 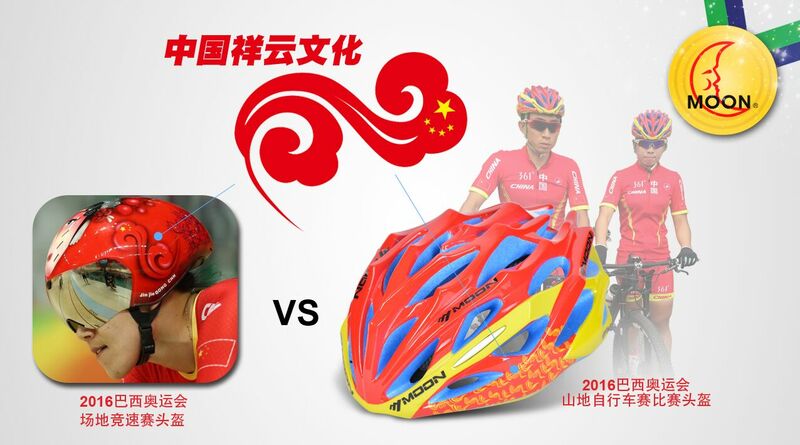 In the bicycle racing, China team will take their artifact, MOON Auspicious Clouds helmet, to fight for the winner. 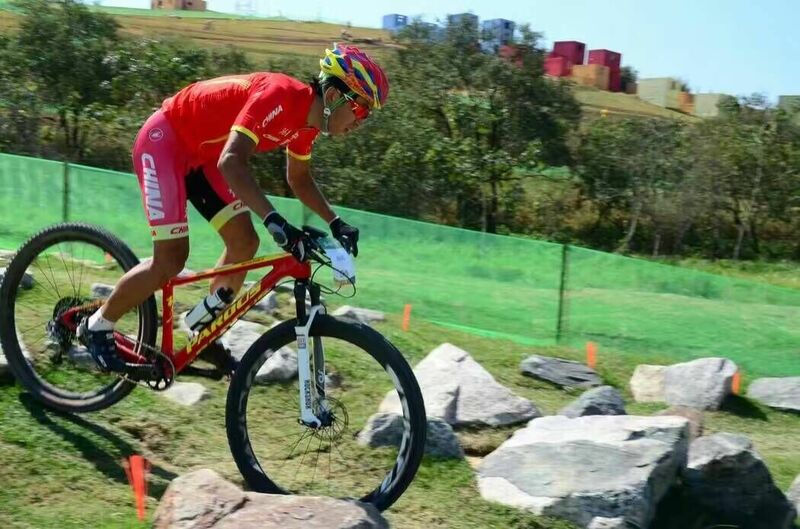 The member of Chinese Cycling Team, Yao and Wang, will wear their Moon Auspicious Clouds to participate in the Mountain Bike contest in the coming weekend (20th and 21th Augest) .They are both well preparing for this Olympic, Yao achieved the champion many times in domestic bicycle mountain race, and she is the one of excellent athletes in China. Besides, Wang is known as “Climbing King”, wining a number of domestic and international cycling race champions. The helmet they will wear in the Olympics belong to the series of MOON Champion (HB100). This helmet adopts a combination of hyun blue EPS and top accessories, presenting a feel of fashion, dynamic and youthful. This helmet is inmould and use superior new hyun blue EPS and Blister PC shell technology, which will guarantee wearer safe and adhere to the Olympic Games culture as well. The unique auspicious clouds with red, yellow and blue set each other off beautifully, conforming to the warm and enthusiasm and vitality requested by the Olympics, expressing the connotation of slogan, “LIVE YOUR PASSION” and highlighting the “Purchasing safe riding”, the dream of MOON. In addition to the advanced technology and outstanding quality, the design of auspicious clouds is spectacular so much. They combine the cycling with the Chinese elements, adding the Individualization of sports equipment, transmitting and developing Chinese culture better.The clouds design also has deeper moral. 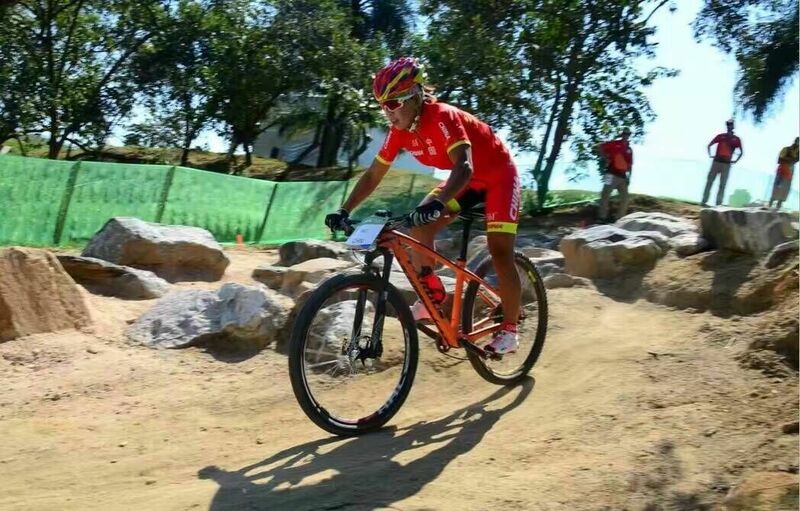 As is known to us, the track in Mountain Bike race is different from race indoor, which is full of challenge and more dangerous.Auspicious clouds are a lucky symbol, in Chinese tradition they represent the good luck and good fortune. 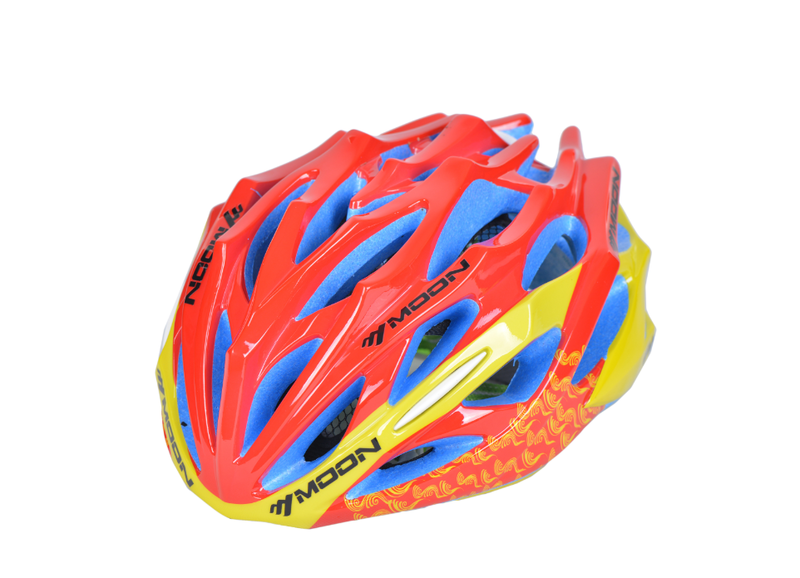 MOON Auspicious Clouds Helmet wish all the players have a good results in the tracks of Mountain Bicycle Race. MOON is the famous brand in domestic cycling equipment manufacture. Last month, in Qinghai Lake International Cycling Road Race, what riders wearing MOON avoid accident is impressive, which deeply convince all of us, the safe guaranteed by MOON is too powerful. About the MOON appearance in the Olympic, the head from MOON answer the reporter, it’s a great honor for MOON to help athletes fight for champion in Olympic, also is a power. When asked the reason put the auspicious clouds into the design, said MOON is chasing safely, reliable outdoor helmet, at the same time, has the intention to add Chinese elements in design. MOON has the duty to show the charm of China and transmit the cultural confidence. In this RIO Olympics, we are pleasure to see the audiences are not just the supporters of golden pedals, but are real audiences focusing on the athletes’ performance, including personality and spirit. Also, we are happier to see the brands, such as MOON and other national brands, make sports’ equipment filled with colorful elements, get rid of the single image” Stir fried tomato with eggs”, express ourselves and build national brands a new impression.